Today I have found a great new Dark Elixir farming strategy from Rijjle which is called GAG (because of the primary troops are Giants, Archers and Goblins). 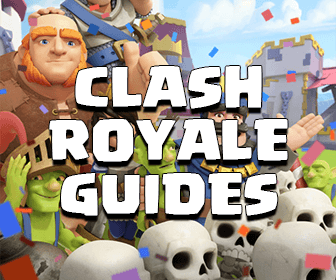 Although this Dark Elixir farming strategy requires a small amount of Dark Elixir but the pros of it are you can use tier 1 troops in the Clan Castle, you don’t need to use your Heroes and it is pretty easy to send your Goblins to the enemy Dark Elixir Storages. You don’t need to always use your Minions. Use them sparingly for saving as much Dark Elixir as possible. The ratio of Archers and Goblins should be ~ 2:1. Depending on your play style, 10-15 Giants and 6 Wall Breakers are perfect for a decent attack. I rarely use Spells but just bring them together. Sometimes you can find a perfect base with sweet loot, those spells can help you much. 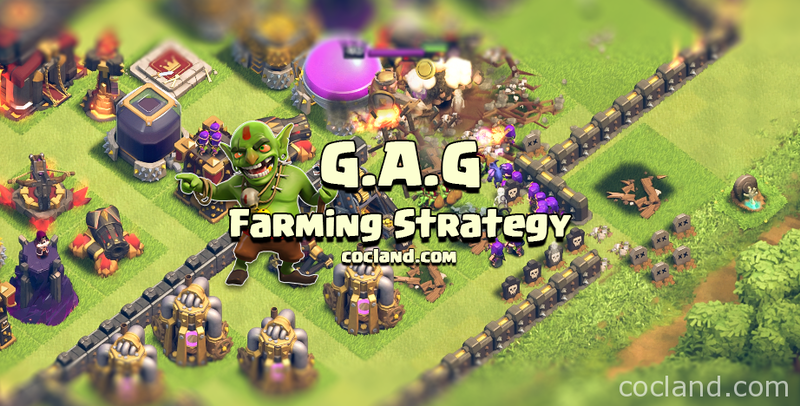 This farming strategy is being used in Master leagues so the main goal of it is getting the Dark Elixir Storage and a 1 star win. Recommend: Boost all your Elixir Barracks. What kinds of bases I should attack with GAG? Base with Town Hall outside: Of course. Who doesn’t like free sweet loot bonus? Just snipe the TH and then search for the next target. 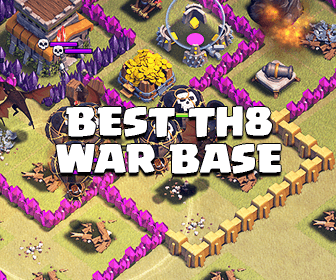 Dead bases: There is no reason to pass these juicy bases up. Just drop couples of Giants to distract the enemy defenses and mass send your Goblins and Archers. 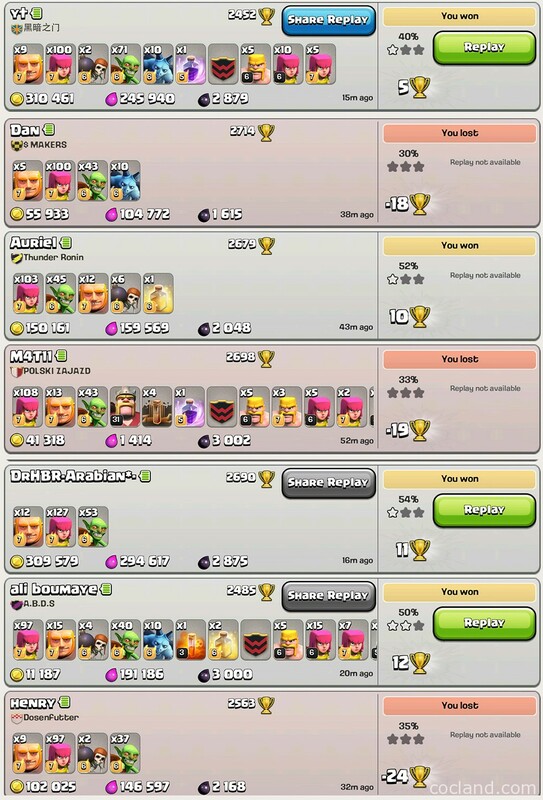 Use your Minions and Clan troops to get some last % for a 50% win. Bases with 2k+ in Storage which stays behind 1-2 layers of walls. This kind base is the main target of the GAG army composition. Don’t worry If you can’t get 50% win, you can take back your trophies later easily by using this strategy. 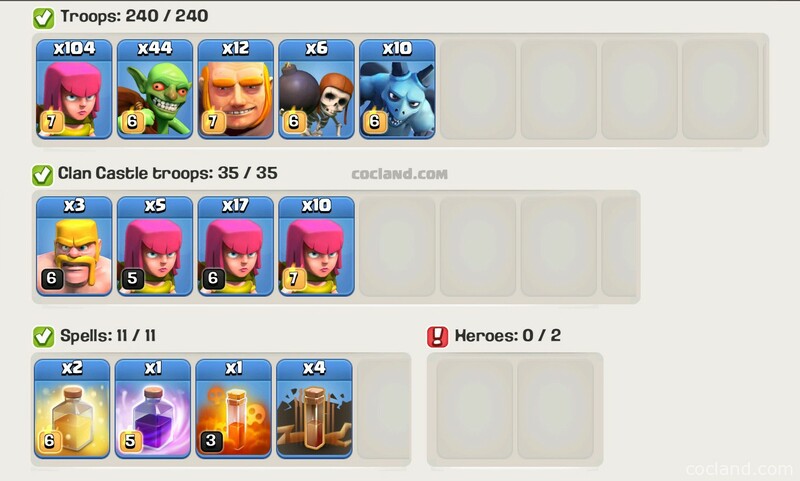 What is the role of each troop/spell? Wall Breakers, Earthquake Spells are used for opening path. You need a clear path to the DE storage to get your gobs and giants to it. Usually a few Wall Breakers will do it, but I like to keep some quakes around for the rare super whale. Use Poison to kill the Clan Castle troops (obviously). Giants: Meat shield. It is nice when they bust buildings, but what you really want is for them to be targeted so your Archers and Goblins to do the work. The goal is to get these guys in near the Dark Elixir Storage so all the defenses are targeting them. Use the Healing Spells to keep Giants alive when needed. Archers: Pathing. You want all your troops to be near the DE storage, use Archers to clean our perimeter buildings, especially collectors. You want to everything marching to the DE storage. Goblins: LOOT! Okay, once you have a path to the DE and all the defenses are targeted on the giants, release the goblins. I often use rages on the gobs near the DE storage if there is heavy defenses like inferno towers nearby. Minions/CC troops: Cavalry. Perfect for getting from 40% to 50% or to get the last drops out of a storage. Don’t use them every attack to maximize profit. How to attack with GAG? The key of this strategy is the army composition. Steps to attack with is is really easy to I will go with it as simple as possible. First drop a few Giants on the wall nearest the DE storage to rile the defenses up. Once they are targeted, drop your first couple Wall Breakers. Once the compartment is open drop the rest of the Giants into that compartment and deploy enough Archers to clear out perimeter buildings. Remember you want as many troops as possible to hang out near the DE storage, so create a path. Use the second group of Wall Breakers to get into inner walls. Keep deploying Archers and a few Goblins bit by bit to create a path until they are all targeting the Dark Elixir storage. At this point unleash everything. The goal is that everything targets the giants so that the Archers and Goblins can clean out the DE. Use spells as necessary. Above is couples of newest attack logs for you. Remember that this is Master league. Besides the raided loot, I also got the sweet loot bonus. Clash on my friends!